What is a Roller Track? If you have been shopping for a massage chair, then you have probably come across the terms “L track” and “S track”. Many folks have seen both words, but they do not know what they mean or how it affects their decision. 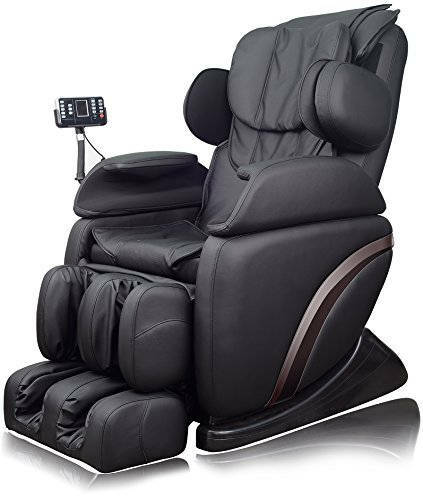 Understanding the roller track of the massage chair you are looking to buy is important because it gives you a better understanding of the type of chair it is and how it will operate. In this article, we will be looking at both tracks in detail to examine how they are the same, how they differ, and the benefits. Massage chairs operate using tracks that extend from the head all the way down to the lower back, and in some massage chairs, down to the hamstrings and buttocks. A good way to visualize massage chair roller tracks is to think about a train track. When a train uses the tracks, it is guided up and down the tracks so that it does not fall off. Similarly, massage chair roller tracks hold the rollers in place so that they can run up and down to massage you. Rollers play a vital role in the overall value of a massage chair because they are responsible for massaging such a large portion of the body. They move vertically and laterally on the track to execute massaging techniques such as tapping and kneading. 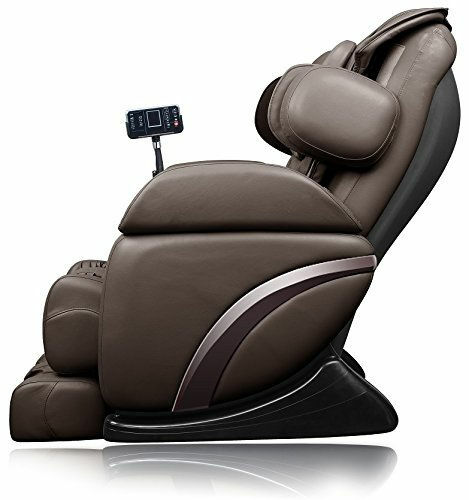 With technological advancements today, many modern massage chairs are now created with rollers that move forward and backward, also referred to as 3D massage rollers. The newer track for massage chairs is referred to as the L-Track. It is an improved and extended version of the S-track that goes past the lower back and to the hamstrings. What makes the L-Track impressive is the ability it has to extend from the head all the way down to the hamstrings. In older models, airbags were the only means to massage users, whereas now we have extended tracks that virtually cover the entire body. People that suffer from lower back pain and buttocks pain find the L-Track a life-saver. Weak hamstrings cause a lot of lower back pain and having a roller track that extends to massage the hamstrings and glutes is exceptionally beneficial. The S-Track roller system is named after the shape of the human spine, which looks like a sine wave. Almost every massage chair today includes an S-Track system which the rollers use to massage the back. The S-Track system is designed to follow the shape of the spine to comfortably massage the shoulders, upper back, and lower back. Typically, most people agree that the L-Track roller system is better than the S-Track. It extends further than the S-Track and massages a wider range. However, almost every massage chair comes with an S-Track roller system. The L-Track is really just an extension and modification of the S-track, which is the industry standard. In regards to the technical aspect, there is no difference. This is not the same as the iPhone 8 vs. Samsung S8; the two tracks are not different products. That is the important takeaway from this article, although the L-Track is an improved version, it is not a different product or invention. Here you can find a walk-through example of the differences between the two track systems. The Novo XT is a great chair that combines an unusual design with an L-Track roller system. It gives users flexibility with roller control, speed, and width. It also provides users with 3D massage rollers that can work along the L-Track and get into those areas that are harder to reach. When you use a massage chair that can maximize the L-Track roller system with advanced features, you then understand the true value of the system. It goes much further than getting to the tailbone or hamstrings, the ability to do so, critically impacts other areas of your body and how you feel after your massage. The Ideal Massage Chair uses an S-Track roller system to deliver its massages. What makes this chair a great S-Track model is that it is an affordable option. Unlike L-Track system chairs, S-Track chairs usually cost a lot less. They still have the same advanced features, such as roller control, heating, zero gravity, and more, but they are not as expensive. 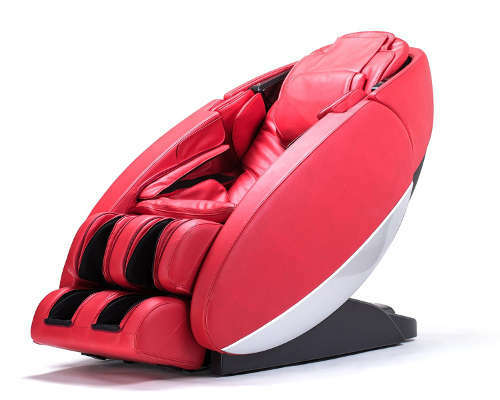 In fact, the Ideal Massage Chair is one of the most affordable chairs on the market. It also uses kneading balls, automatic and manual massage programs, and a full body scanning system. After reading this, we hope you have a better understanding of L-Track and S-Track systems. If you have any questions, please leave them below in the comments section, and we will gladly answer them.